Women have to keep themselves beautiful always; mostly a bright complexion and beautiful features are the basic components of physical beauty of a woman. 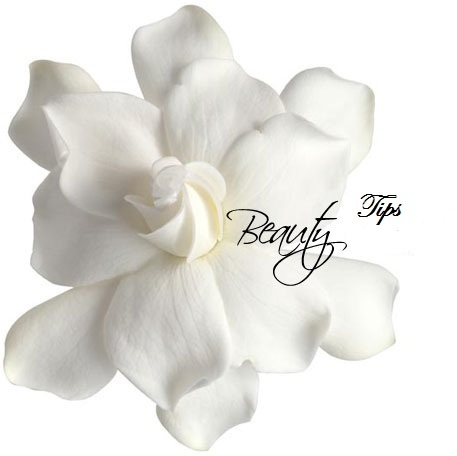 So, if you are looking for beauty care tips, you are at the right place. We offer you some of the most essential beauty care tips like body care, skin care, hair care, nail care, lip care, eye care and foot care which are discussed in the individual pages later. Cause of Hair Loss : Dandruff, Graying of hair, loosing hair, brittle hair and slow growth of hair are some of the common hair problems that people complain about. Though most of these problems are natural signs of aging or part of our genetic makeup, there are some simple preventative measures and home remedies that may help some of these hair complaints. 1. Massage honey with egg yolk into the scalp and hair. Leave for a 1/2 hour, then rinse to prevent hair loss. 3.Massage the scalp with 2-3 drops of essential oil or a good vegetable oil. Massage well into the scalp so that the oil gets into deep roots of hair. Wrap the hair in plastic wrap and place a warm towel around it. Leave it for 2 to three hours or overnight. Shampoo the hair with a mild shampoo. Practicing this at regular basis would help your hair pores get rejuvenated. 4.Rinse hair with a mix of apple cider vinegar tea to help hair grow. 5.Eat a handful of white sesame seeds every morning. One handful of these small seeds contains about 1,200 mg. of calcium magensium to ignite the required nourishments of your scalp not to loose hair. 6.Mix little warmer castor and almond oil and massage over scalp at least once a week. 7.Scrub the bald portion with onions till it becomes red. Then applying honey, scrub the scalp once a day. 8.Grind lime seeds and black pepper in equal number in some water and apply on the scalp at regular intervals. 10.Massage almond oil on scalp 2 to 3 times a day. Further hair loss will stop by doing this practice. 1. Choose your shampoos and conditioners carefully. Any product that claims to add moisture is probably the wrong product for you. You don’t need a product that leaves behind a heavy residue because these will only make limp locks look more flat. Look for lightweight or clean rinsing shampoos and conditioner and use them everyday to wash away excess naturally occurring scalp oil. 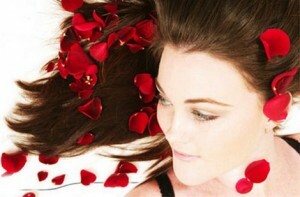 Your hair could also benefit from the use of a conditioner that contains proteins which will help thicken up fine hair. 4. Adding body no longer means teasing. Teasing is sloppy and causes tangling so don’t do it just for the sake of body. If your hair is naturally pretty smooth, you can wrap damp hair around Velcro rollers and either let it air dry or, for a speedier approach, blow dry it around the rollers. If you’d rather not mess with rollers for fear of tangling, use a wide barreled curling iron to get the same look. Using an iron will also give your hair a smoother look that it might have if allowed to air dry. We all thought crimping was a thing of the past, but actually that crimping iron has a use. Separate your top layers of hair from the very bottom. Twist the top layers up on top of your head and fasten them out of the way. On the bottom-most layer of your hair, the ones that no one will be able to see, crimp the first couple of inches of your hair nearest to the scalp and you now have a quick, tease-free way to plump up your locks. 2. A long hair cut with long layers makes limp hair too heavy. For instant lift, make an appointment with your hair sylist and ask for a shorter, layered ‘do. Choose a style that sits at or above the shoulders because fine hair that is any longer than shoulder length will be too weighted down and unable to swing, move and bounce around the way hair with body should be able to. 2. Mix 2 tspns of Brandy in 1 cup of water. Apply with the fingertips to the roots of hair. Wash after ½ hour with shampoo. 6. Take 2 tblspns of Beetroot juice and add 1 egg and 1 tspn limejuice to this. Apply and leave for ½ an hour before washing. 7. Mix 1 tblspn of Olive oil with 1 tspn of limejuice. Apply well on the scalp and cover the head by tying an old scarf. Keep it on overnight and shampoo the next morning. Take half a cup of curd. Add to this a table spoon full of honey. Mix well. Apply on the scalp and hair strands and hair ends. After 20 mintues wash with water. See a remarkable change in the sheen and smoothness of your hair. Take half a cup of black dal ( lentil). Add one table spoon of fenugreek (methi) seeds. Dry grind to a coarse powder. Add half a cup of curd. mix well. Apply generously all over the scalp. Leave it for 2 hours. Wash your hair with water using a mild shampoo. This helps to get rid of split end. 2. Take small sections of hair and carefully twist them in a gentle downward motion. 3. Carefully snip into the twist with sharp scissors. Don�t cut right through; just cut into the thickness to remove the damaged cuticles and give a natural layered effect. 4. Always brush your hair when it is dry. 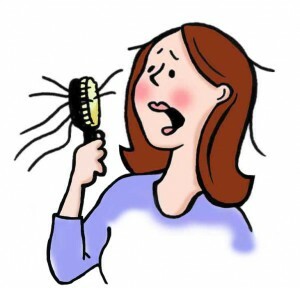 Brushing wet hair will not only lead to hair loss, but also remove the cuticle from the strands. Using a soft-bristled brush, comb you hair down from the crown to the tip of your strands, in a gently manner. 5. While conditioning your hair, apply the conditioner in your hair, from the root to tip, and cover your head with a shower cap, with all your hair inside it. Now, place a towel, dampened with lukewarm water, on the top of the cap. Leave it there for about 10 minutes. Remove the cap and rinse your hair thoroughly, with cold water. The treatment is a surefire way to get rid of split ends. This will help you to get rid of the split ends, if you do it once a week on a regular basis. Is Mehendi Die good for hair that is straightened? i have so much dandruff and also split hair and also i have long hair so i cant give so much time to my hair what can i do?give me some simple and basic home remedies.is it true that conditionar should not apply on scalp?